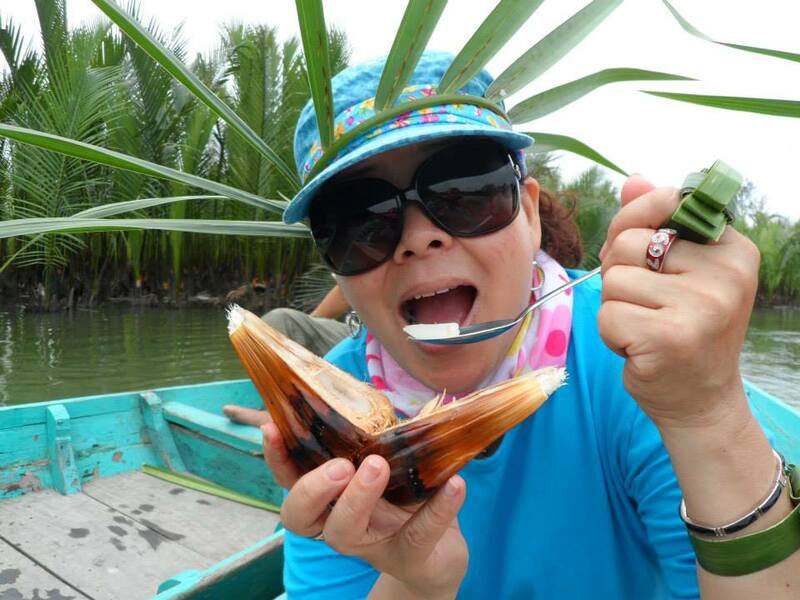 Hoi An Eco Tour – Cam Thanh Village Hoi An. Vietnamese is a country a people and a land of magnificent “ postcard perfect “ scenery. During your tour you will travel cross the Coconut-palm, rivers and small village set among palms trees, surrounded by Coconut-palm, where the fishing, in the famous conical hats, continue Vietnamese bamboo basket boats while exploring the now tranquil coconut-palm flanked waterways of a past wars, according to traditional century-old practices. 14h00: Return back to hotel by coach or bicycle. √ In case of bad weather or unexpected reasons happened, booking tour for cancellation must be informed at least 2 hours in advance by phone, fax or email.